Amazing work getting the program started, now to continue making it awesome! 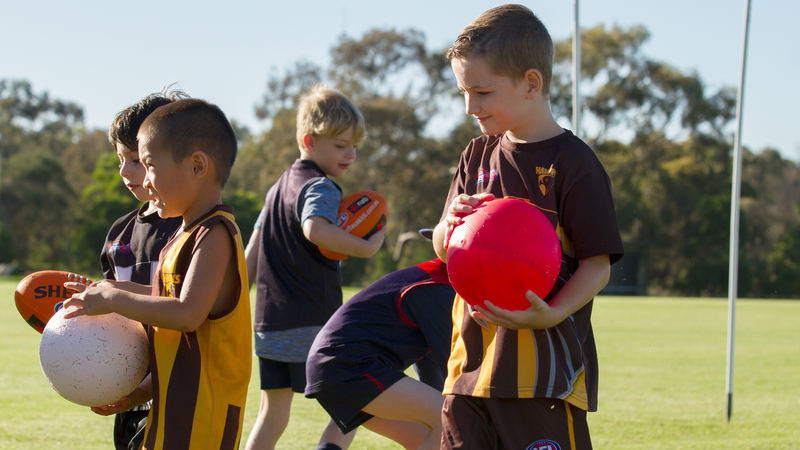 This session is made up of activities that will teach your Auskickers fundamental motor and footy skills through some fun game-based activities that will keep your Auskickers engaged and loving it! Activities include: Footy Ninja, Super Boot, Ruckman’s Treasure, ‘Here, There, Everywhere’, and to finish, a Mini Match. These activities are super fun and playful and will have Auskickers wanting to come back for more! And remember, having fun is the aim of the game!